Welcome to our January 2019 #APaperPumpkinThing Blog Hop. 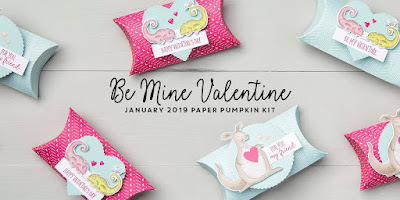 Our Paper Pumpkin kit this month is called Be Mine Valentine. It came with supplies to make 24 valentine pillow boxes. The picture below shows how the boxes look when made according to the kit directions. You can watch a replay of a livestream VIDEO of me unboxing and assembling this month's kit according to the package instructions, on my Facebook Business Page by either clicking the image above, or clicking HERE. I've had another pain episode from my trigeminal neuralgia over the past two weeks, and the pain just finally let up yesterday quite a bit, so I was only able to make one alternate project for the blog hop this month. The kit coordinates with our Animal Expedition Suite of products, but I decided to take my alternate project in an entirely different direction. There's a little chameleon in the stamp set for the kit this month, and a greeting that says "you're one-in-a chameleon". I wanted to make a critter out of the pillow box itself, so I made a kitty, and altered the greeting to say "you're one-in-a MEOW-leon. 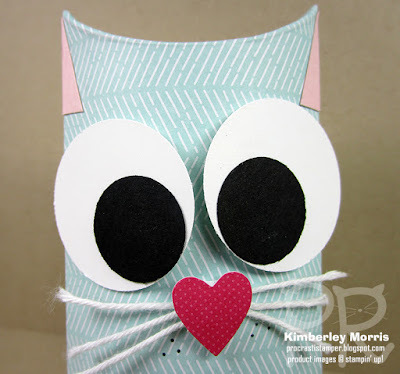 I used the 1-1/4" Circle Punch with Whisper White Cardstock for the big part of the eyes, and the 3/4" Circle Punch with Basic Black Cardstock for the smaller part of the eyes. The heart I used for the nose is a die cut from the kit. I cut three pieces of Whisper White Baker's Twine for the whiskers, and smooshed a Stampin' Dimensional over the top of the pieces, then adhered the heart to that same Dimensional. For the ears, I trimmed tall, skinny triangles from Powder Pink Cardstock and adhered them with Tombow Liquid Glue. 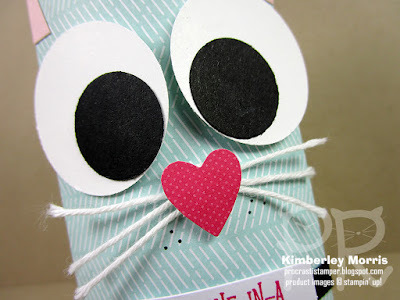 I also used Tombow Liquid Glue to adhere the black part of the eye to the white part, and then I adhered the layered eyes to the pillow box with Stampin' Dimensionals. 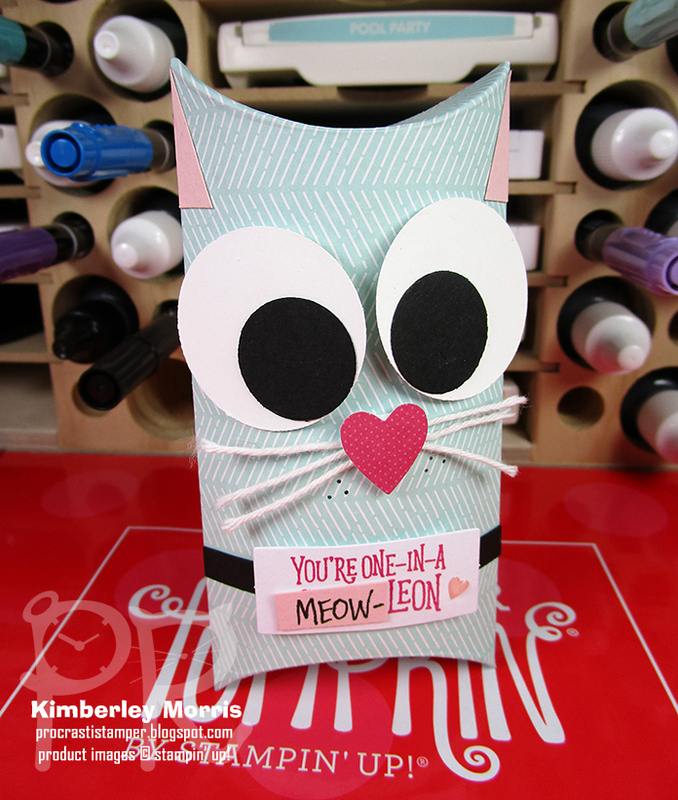 If you look closely, you can see 3 little dots I made on each side of the nose, with the Basic Black Stampin' Write Marker, to enhance the whisker look. 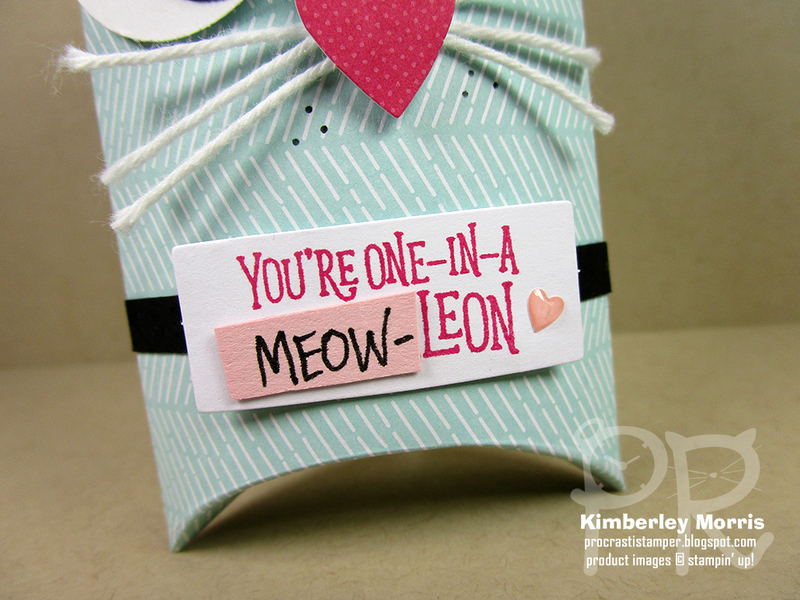 At the bottom, I stamped the greeting in Melon Mambo ink (the color of the ink spot that came with the kit), on one of the tags that came in the kit. 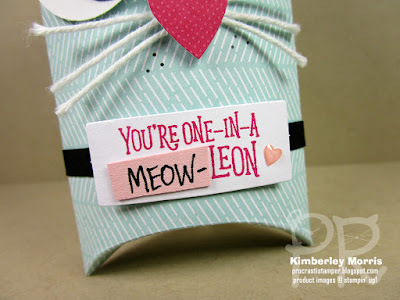 I used the Basic Black Stampin' Write Marker to write the MEOW part I wanted on Powder Pink Cardstock, then I trimmed that out with my Paper Snips and adhered it over the appropriate part of the greeting. Behind the tag, I adhered a skinny strip of Basic Black Cardstock...I think it looks kind of like a collar! To finish off the tag, I added one of the blush-colored epoxy hearts from the kit. Stampin' Supplies: January 2019 Be Mine Valentine Paper Pumpkin Kit, Powder Pink Cardstock, Whisper White Cardstock, Basic Black Cardstock, Basic Black Stampin' Write Marker, 1-1/4" Circle Punch, 3/4" Circle Punch, Whisper White Solid Baker's Twine, Tombow Liquid Glue, Simply Shammy, Grid Paper, Paper Snips. 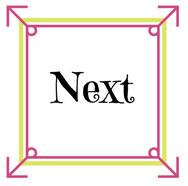 NEXT UP: Click the Next button below to see Audra's sweet projects! If you have any problems navigating the hop, there is also a Blog Roll listed below for your convenience. The Be Mine Valentine Kit REFILL is available right now the on the PAST KITS page in my Online Store. All PAST KIT products are available while supplies last, so be sure to grab yours before they are gone! There are sometimes full Kits available on that page, but many are just Refill Kits which include the consumables only...meaning everything but the stamp set & ink pad. By the way, you're gonna have to be a Paper Pumpkin subscriber to buy whatever's available on that PAST KITS page, so go ahead and sign up HERE to get your email address in the system first! Do you LOVE succulents?? Click the image below for a Sneak Peek of February's Paper Pumpkin Kit design, and make sure you SIGN UP no later than 11:59pm MT on February 10th to get this gorgeous kit!